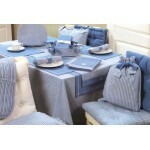 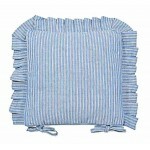 Blue gingham check frilled seat pad with ties Size: 35cm x 35cm not including frill. 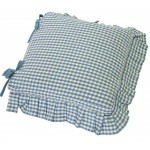 Mate..
Auberge Cobble gingham frill seat cushion pad with ties Size: 35cm x 35cm not including frill..
Auberge Nordic Blue gingham check frilled seat cushion with ties, fibre pad inset. 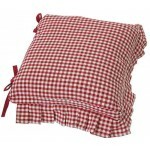 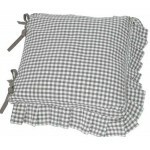 Size: 35cm..
Red gingham check frilled seat pad with ties Size: 35cm x 35cm not including frill. 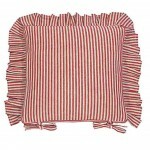 Mater..
County Ticking Cornish Blue frilled seat pad cushion county ticking frilled seat cushion pad ..
county ticking frilled seat cushion pad in Dorset Red with ties with poly pad. 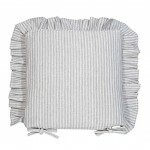 Size: 35 x 35c..
county ticking frilled seat cushion pad in Suffolk Grey with ties with poly pad. 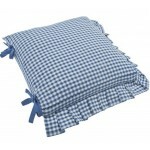 Size: 35 x 3..